You must make reservations at least 5 minutes in advance of the time at Etcetera Etcetera. A, C, E, 1, 2, 3, 7 & S trains to 42nd Street. To learn more about hosting your next event, please contact Anna De Chevalier. etcrest@gmail.com 212-399-4141 The Second Floor can hold parties fro 10 to 100 people seated, 200 standing. Call or email for more information. Please contact our private events coordinator for more information regarding off-site catering. "Just a heartbeat away from the buzz of Broadway and the vibrant energy of Hell’s Kitchen, Etcetera Etcetera is a modern and cozy oasis of culinary delights – the perfect place for pre-dinner cocktails, post-theatre dinners and everything in between. Owner Daniele Kucera has drawn on his own unique cultural heritage and many years of restaurant expertise to create a warm sanctuary of elegant dining. With its sleek, gorgeous interior and sharp, friendly staff, Etcetera Etcetera has become a heavenly haven and shimmering neighborhood fixture for both discriminating New Yorkers and curious tourists. In addition to mouth-watering favorites such as Scialatielli, Grouper and Skirt Steak, there are always fresh and innovative options on the seasonal menus, and the outgoing staff is always good for a tasty recommendation. Whether you are looking for an intimate dinner, planning a large party or just want to grab fare, you can do it all in grand style at Etcetera Etcetera." 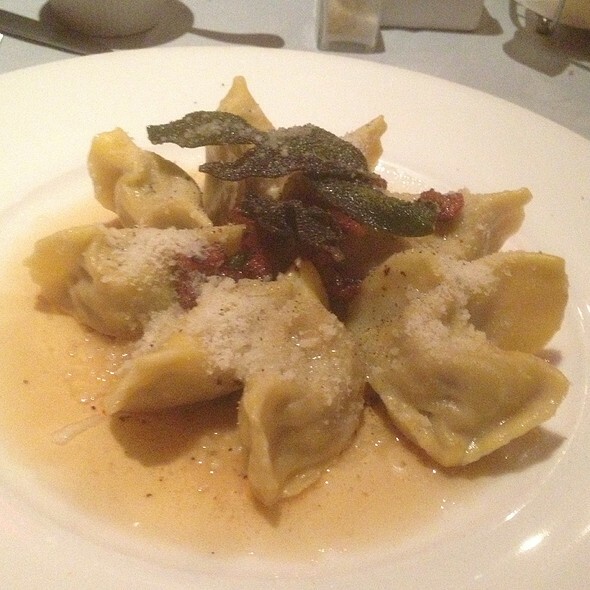 Our pasta (the veal ravioli) was one of the best I've had in NYC! 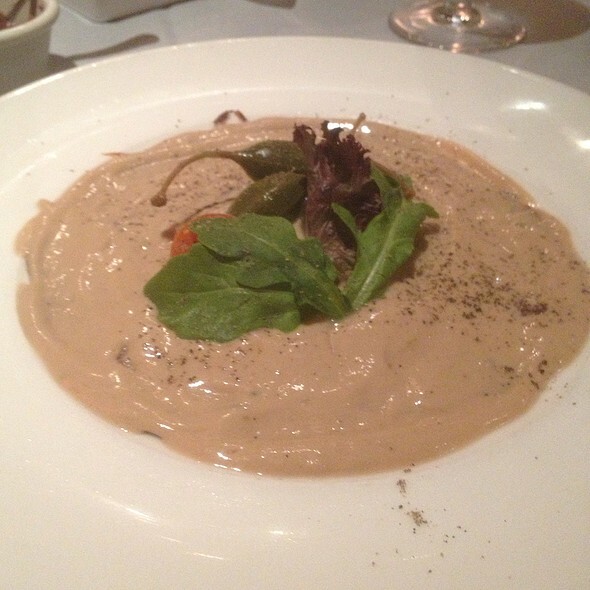 Such a wonderful combination of flavors, and the sauce was similar to a delicious cacio e pepe - it was awesome. Worth noting - we mentioned we were there for a 7pm show, and although our server had somehow missed putting our order in (which meant we didn't have much time to enjoy our meal), the staff were very accommodating and more than made up for it. I credit them for doing their very best to make things right, and we will enthusiastically come back again! Great pre-theatre, welcoming staff, excellent cocktails and meal. Will definitely be back! 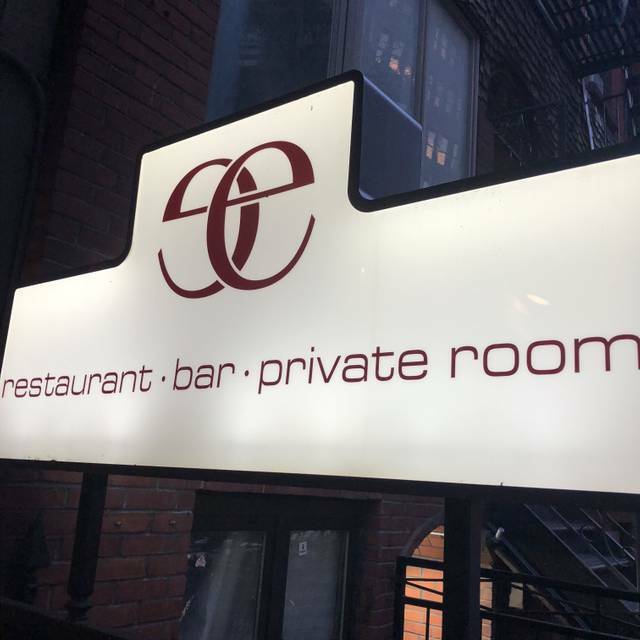 Every time we visit NY we always schedule a dinner at Etc. Etc. The food and the staff are all outstanding. Even during the busy theatre dinner rush, the staff is always attentive. Great management and staff (our server this evening was Joey who went beyond what was expected on a busy Friday night). Bravo to all. It was a late night dinner after the theater. 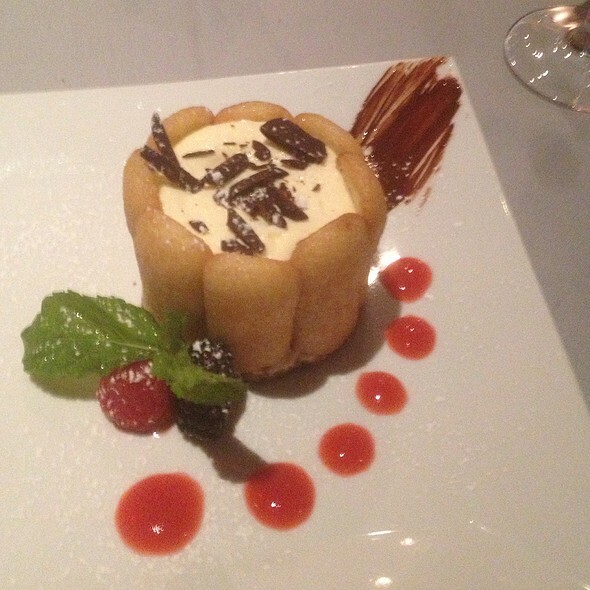 Everything was delicious,service was excellent, everything was served in a timely manner. great theater restaurant for before or after seeing a show. 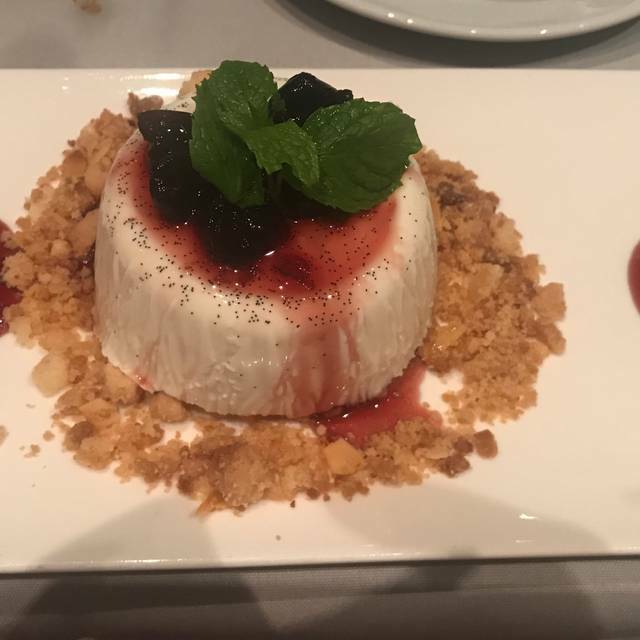 In a city with so many dining options, the only reason to recommend Etcetera Etcetera would be because of its location in the theater district. The setting and decor were quite stylish and the service was excellent, prompt, courteous and accommodating. BUT, the food was lackluster. 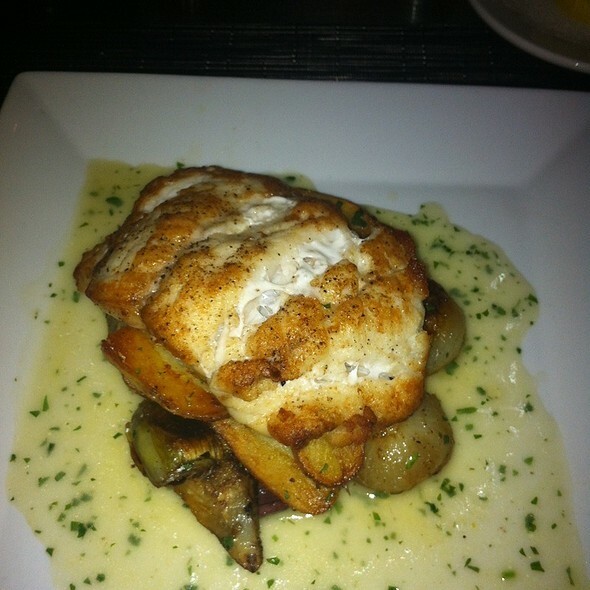 The grouper was dry and seemed unlike any grouper I have had before. 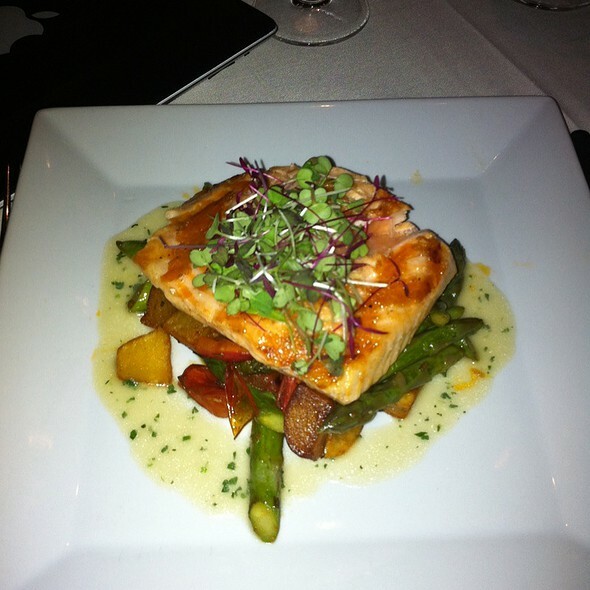 I observed other diner's meals and the salmon seemed plump and moist so perhaps this was an aberration. The budino dessert was outstanding and worth the trip there. In general the restaurant didn't so much fail as it failed to impress. This restaurant was very nice. It was spacious and very nicely decorated. We had a reservation, which I would recommend. The service was wonderful. The food was delicious and filling. We had the half portions of pasta and it was plenty. Someone also had the steak on the menu which came with potatoes and spinach. The portion size was good and the comment was that it was excellent too. The bread in the table with the black olives tapenade was delicious. They have several gluten free options for dinner and dessert. The chocolate pudding with toasted hazelnuts was a delicious way to finish dinner. Food, ambiance, service were all very good. The Yelp review said $$, but I thought it was expensive. Shared a salad, had an entre, one cocktail and shared a dessert and it was $76 with tip. I would put that as $$$. Another visit to our go-to restaurant in the theatre district. Excellent as always. 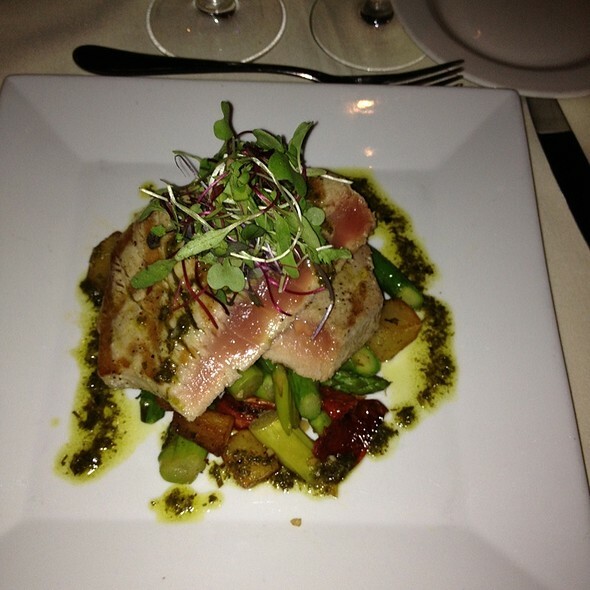 The prix fixe is very good value and the striped bass was terrific. It's a rare Manhattan restaurant that is consistently very good, for reasonable prices, but this one is!! A friend and I had lunch/brunch before a Sunday matinee. The braised beef ribs were outstanding; falling off the bone. 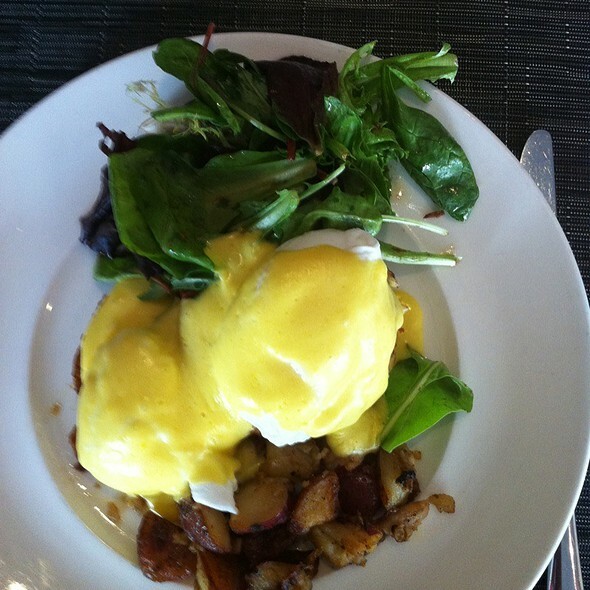 My friend seemed to really enjoy her eggs benedict. We were both very happy. Thank you etc, etc!!! This restaurant is my go to when I go to a Broadway show. I’ve been there at least 5 or 6 times in the past 2 years. The food and service is consistent in quality and price. The ambience has a good vibe too. As soon as we arrived on a busy Saturday night (we had reservations), we were asked if we had an 8 o'clock show (we did), and we were seated promptly. Our waiter also asked us if we had an 8 o'clock show and, with this information, he was prompt, courteous, and pleasant. Our food was good--the mixed greens salad could use a bit more dressing--and the entire evening was a success. Food was great, fun atmosphere, great value and a big step up from the usual fare in the neighborhood. Just the right atmosphere for a small group of people or a table for two. Will definitely go there again. Always go here when we go to the theatre. A favorite for many years; consistently excellent in food, service and efficiency. This is one of my neighbourhood favourites and can always be depended upon for a great meal, excellent and friendly service and a great atmosphere without too much noise. It’s a wonderful choice for pre- or post-theatre, or really any kind of get-together. The staff are welcoming and fun, while at all times being respectful and unobtrusive. Love this place! And they got my favorite wine! It was delicious. Best meal we ate in New York!!!! Really liked it. Nice ambiance. Delicious dinner! Great service. We were introduced to the restaurant by a physician for. Business dinner. It was amazing and I have gone back many times since. I tell everyone about it. The service is excellent. The food consistently perfect. Love this place. One of my all time favorites. Every time I am in town I take my daughter there for dinner. Must try the eggplant Parmesan!!!!!!!! The food and service were OK. It was not the caliber I was expecting based on the reviews. We made reservations but we’re still given a table right by the bussing station and the bathroom. I think there are plenty of Italian places in NYC i would recommend over this one. Excellent food, delightful service. A bit noisy, but full of NYC energy. Go here whenever I am in the city and am always thrilled I made the time. The food is phenomenal, the service always the best and the atmosphere perfect providing great energy to sit and enjoy the evening. Look forward to my next visit to the city so I can go again. This is a great place for a delicious pre-theatre dinner. Everything I have eaten here has always been terrific. Service is very nice, and there is a definite buzz in the room! Service was friendly and not intrusive. The staff was aware we had theater tickets and did everything to accommodate us without our feeling rushed. We had tix to a show and didn't have much time to eat. Our waiter was very efficient and got us out quickly. My fish came with a side of artichokes. They were the chewy unedible outer layer of the artichoke. It was disappointing, because I really I like artichokes. It was embarrassing, because I had to keep spitting them out. The restaurant was beautiful , and had a good vibe. I would have liked to hang out longer. My fish, and my husband's food were delicious. Excellent gluten free choices and knowledgeable staff. Tables a bit too close. Sound level high when all tables occupied. This restaurant was a very good unexpected find right next door to the Producer's Club after the show. The food was great and the service was too. One of the best in the Theater District! We had a wonderful post theater dinner at Etc and enjoyed every aspect of it. The broiled sea bream was excellent as was the soup and gelato desserts. The wine list is adequate and reasonably priced. On a Tuesday night at 9:45 we almost had the entire restaurant to ourselves and noise was not an issue. We recommend this restaurant.